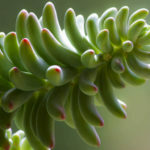 Sedum pachyphyllum is a bush forming or ground-hugging succulent, up to 1 foot (30 cm) tall, spreading over time by rooting stems and fallen leaves. 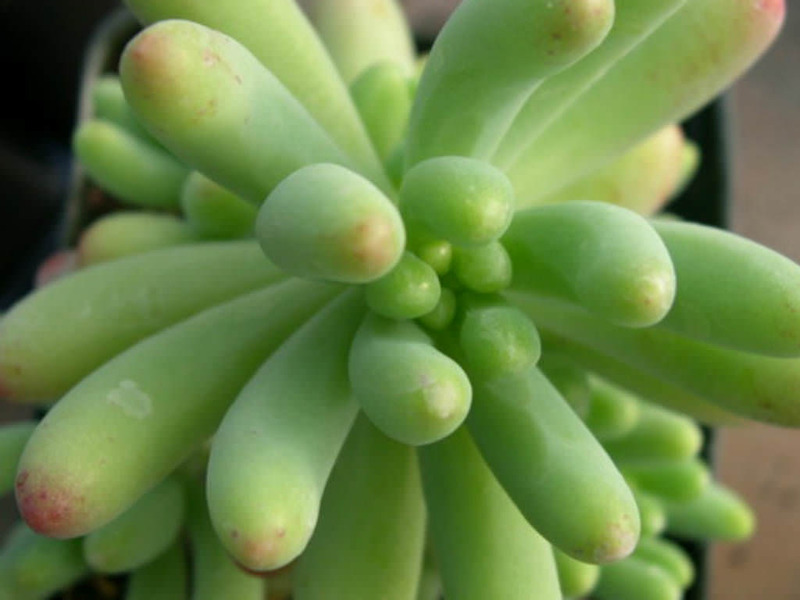 The glaucous light green silvery leaves are short stumpy finger-like projections and are often tipped with red. 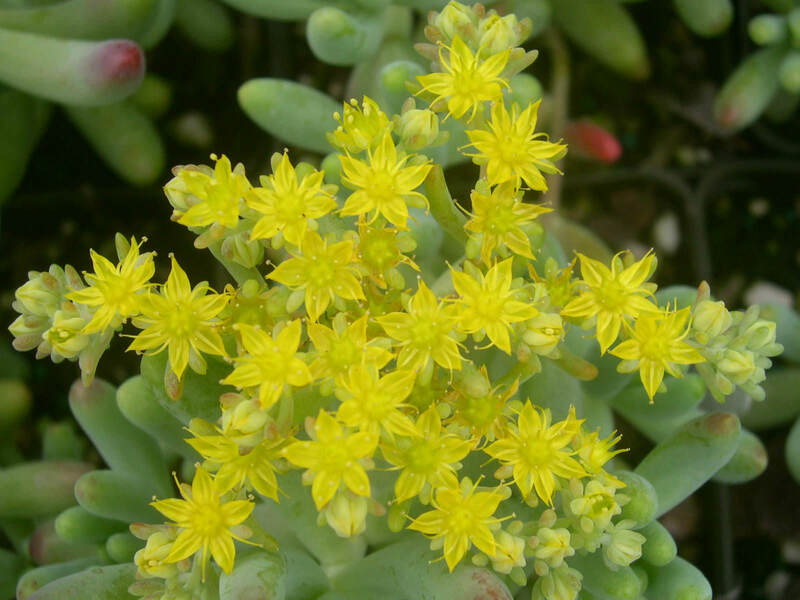 The flowers are yellow and appear in the summer. 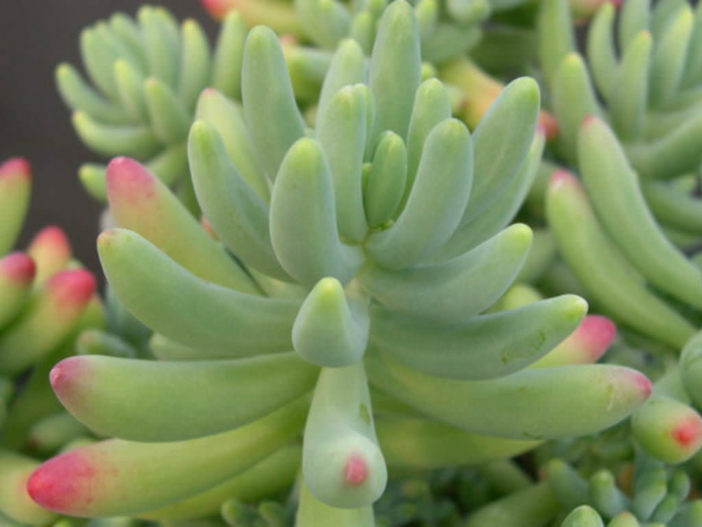 Sedum varieties vary in height. The smallest are just a few inches tall, and the tallest can be up to 3 feet (90 cm). 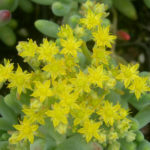 The large majority of varieties are shorter and they are frequently used as ground covers in xeriscape gardens or rock gardens. 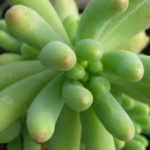 Sedum varieties also vary in their hardiness. Many are hardy to USDA zone 3, while others need a warmer climate. 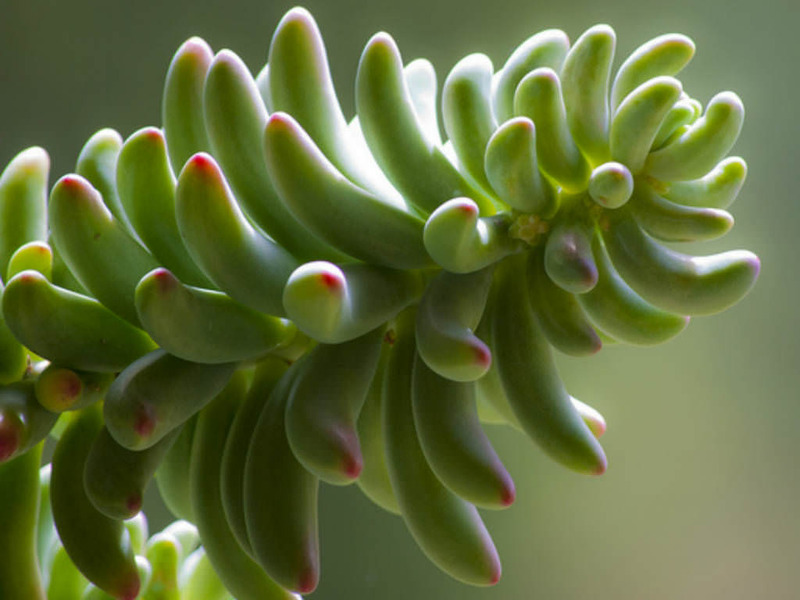 Make sure the Sedum that you plant is suited to your hardiness zone… – See more at: How to Grow and Care for Sedum. Native to Mexico (Sierra Mixta, San Luis and Oaxaca).